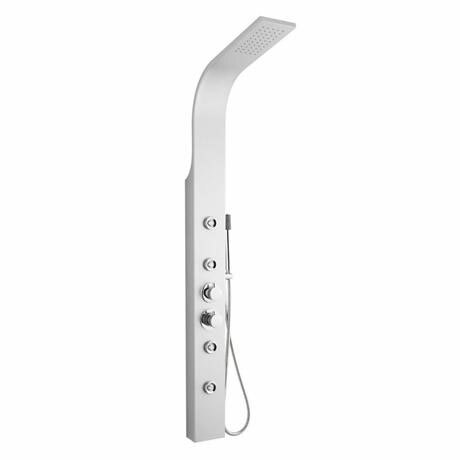 This Premier Peyton Thermostatic Shower Panel features an integral fixed shower head, four body jets and a slimline pencil handset. The attractive angles of this modern thermostatic shower panel will be the centrepiece of your bathroom - and deliver a superb shower. Q. What materials is it made from?